Hosted PBX system its advantages and why your business needs it? A Private Branch Exchange (PBX) is a business-centric system that routes phone calls within the organization. It works as an exchange point between users and acts as a central phone line. A traditional PBX system is one that’s installed at your location and is managed by you and the service provider. This entails significant costs in form of ongoing maintenance and training. A hosted PBX, on the other hand, is a cloud-based PBX system. It’s built, delivered, and managed by a third-party service provider. Since it’s an IP-based telephony solution, it can be accessed over the internet. In this case, the service provider handles the hardware, software, training, and maintenance. The system doesn’t get installed at your location. Instead, the service provider installs and deploys it at a remote site. A hosted PBX system is also called cloud PBX. A hosted PBX often gets confused with a virtual PBX. Both terms sound like one another. But that’s where the similarity ends. The former provides more features and control since it works for both inbound and outbound phone calls. Despite being less expensive than traditional PBX systems, a hosted PBX offers many more features that can benefit your business. Here are 3 of them. As we mentioned above, a cloud PBX gets installed at a remote location. Maintenance and infrastructure become part the service provider’s deliverables. For you, this savings in costs like hardware, software and steep Annual Maintenance Contracts (AMCs). Also, you don’t have to hire a dedicated engineer to manage the PBX. Nor do your people waste time in troubleshooting if the PBX develops a fault. Because all these are also part of the service provider’s deliverables, it leads to significant savings in form of time and money for your business. Not to mention the speed at which you can add extra features. Just like with Tally, these can get downloaded and installed at the click of a mouse button. And it’s not just features that are easy to add. Additional phones, lines, and setting up systems for a new department, are swift and easy. With traditional PBX systems, this is an arduous task. A hosted PBX offers a slew of value-adding features like on-hold music, call transfers, routing, call waiting, and so on. As this technology continues to evolve, features like auto attendants, ACD queues, and more, are getting added fast. All these features present a professional image of your business to your caller. And the more professional a business, the more people trust it. And the more they want to do business with it. A cloud-based system allows employees to collaborate from anywhere – within the office and even remotely. This keeps you connected with salespeople who are always on the move, and also people working from home. The more you get important information real-time, and the more your people can do their job well regardless of location, the more productive your organization becomes. Thus, such a system helps you save costs. It gets deployed quickly and gives your business a more professional feel. All this frees up time and resources for you and your team to deploy in pursuing activities that help your business progress. The only drawback is that you get lesser customization options than traditional systems. But hey, how many out-of-the-ordinary options do you really need to make it work effectively? However, here’s a caveat. There are certain aspects that you must pay attention to while choosing a cloud PBX. How to Prepare for a Hosted PBX System? Choosing between such cloud-based systems might sound daunting. The vast number of options and features to choose from can overwhelm you, and also fill you with the Fear of Missing Out (FOMO). If this is how you feel, don’t worry. Choosing a system is not difficult. Most cloud-based PBX systems offer enough features and benefits for your organization to scale. 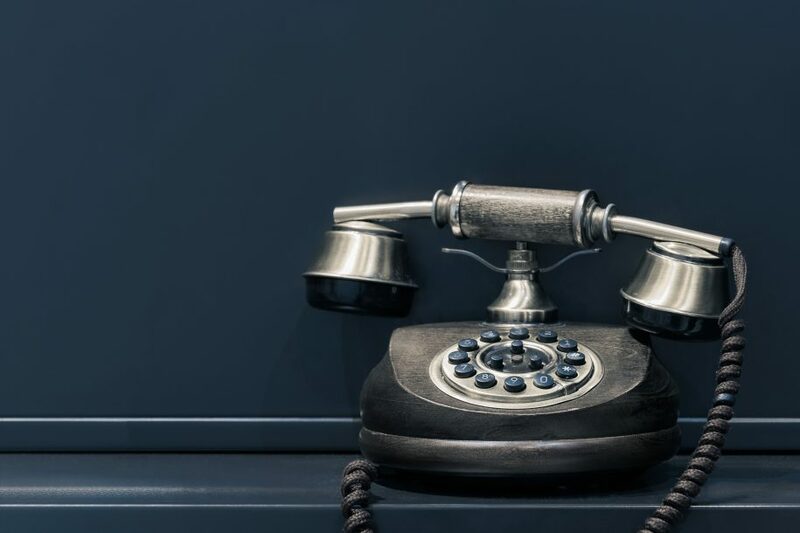 However, before you begin the process to move from a traditional PBX system (or none at all) to a hosted one, you must take a few important steps. If your service provider will port your existing number, it’s important to stay with your existing telephony provider until the process is complete. You don’t want to be left hanging without a service to make phone calls if glitches arise during the installation. If your service provider will give you a new number, it’s important to inform all your customers and contacts of the same through a message- or email-blast. Otherwise, your customers might not be able to connect with you and switch to a competitor. Surely, that’s not an impact you want to take. A hosted PBX system is not a set it-forget it system. In fact, set it-forget it is a poor strategy for any aspect of your business. Monitoring any process or technology for a few months after you’ve deployed it is an essential step for any leader. For the first three months, monitor your phone bills. Depending on the plan you’ve opted for, the first bill might reflect fees like setup and activation, number porting charges, and so on. But by the second month, you’ll get a standard bill that will typically reflect monthly rentals. Check whether you’re being charged for features that you haven’t opted for, or whether some you got charged for something which was an oversight on the service provider’s part. Within three to four months, your bills will get streamlined. Things will fall in place. You can go easy after that, but keep checking your bills periodically. A small investment in a hosted PBX system can help your business go a long way. By deploying such a system, you reduce stress of managing a non-core activity. You can invest the funds and time saved in core actions that contribute to your business’ growth. This is why more and more small and medium enterprises are switching to hosted PBX systems. It’s time you take advantage of the same and launch your business to the next level.